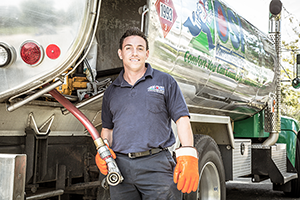 OSI Comfort Specialists delivers Oilheat reliably to homes and businesses in all of Queens and Nassau County, even sections of Brooklyn and Suffolk County. We maintain excellent relationships with our suppliers to ensure that we can supply our customers, even in the thick of a winter storm. Our automatic delivery option adds convenience to your life by eliminating the need to monitor your fuel tank and place orders for fuel. We plan a delivery schedule based on past usage, then adjust your delivery dates using a sophisticated degree day tracking system that reliably gauges the daily weather conditions. We install the most energy-efficient and technologically advanced heating equipment in the business – from boilers and hot water heaters to radiant equipment you can’t see, but you can most certainly feel when it comes to pure comfort! A service plan from OSI Comfort Specialists is the best way to protect your valuable Oilheat equipment and shield yourself from unscheduled repair expenses. Our service plan provides several vital benefits, including routine maintenance, repair coverage and around-the-clock emergency service. For valuable protection and peace of mind, nothing beats an OSI Comfort Specialists service plan. Customers who want to eliminate the threat of oil price inflation can enroll in OSI Comfort Specialists’ GAP Club. GAP stands for Guaranteed Assured Pricing, and Club customers are assured that their price for the upcoming heating season will never exceed a predetermined “ceiling price,” regardless of how high prices may go. If, on the other hand, our price drops below the ceiling price, you will pay the lower price. It’s a great way to block out inflation without locking in your price completely. Annual GAP Club membership is available to any service plan customer for an additional fee of $75, which helps defray the cost of the price insurance that OSI Comfort Specialists buys to guarantee your pricing. Payment for your oil must be made within 10 days of delivery, or by the 10th of each month if you are on our Balanced Billing. For more information on Oilheat delivery, installation and service, contact us today.